With summer upon us, the Labs21 2012 Annual Conference is just a few short months away. We are looking forward to it and hope to see you all there! To get a better taste of all that will go on, take a look at the complete agenda, which includes all available abstracts. A lot of great information will be discussed this year. Excited by what you see? 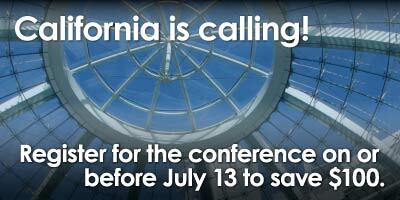 Register today, as prices increase after July 13. Consider attending a pre-conference training session and/or an evening tour as well. The July 13 deadline for the Go Beyond Awards is also right around the corner. This is your last chance to submit an award nomination for a deserving individual, organization, or project. The awards will be presented on the final day of the conference. Give the award-worthy individual, organization, or project in your industry the chance to be recognized. Submit a nomination today. We want to extend a very appreciative thank you to our new sponsors, Schneider Electric, Siemens, and Lab Manager Magazine, for their generous support. June has been an exciting month, as our judges have been busy evaluating the Student Design Competition entries. We look forward to hearing from the competition winners during the Opening Plenary Session on Tuesday, October 2, and Session C5 on Wednesday, October 3. 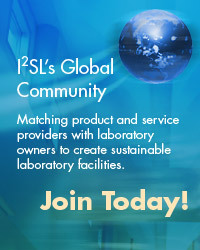 Finally, I am excited to share with you that I2SL is in the final stages of planning a membership offering. I2SL Members will be at the forefront of activity on projects ranging from developing sub-metering guidelines to identifying an operations and maintenance professional curriculum to establishing a laboratory performance rating system. Keep an eye out during the next several weeks for more information on becoming an I2SL Member. I hope you enjoy this issue of the Sustainable Laboratory Times. Have a wonderful summer, and don't forget to register for the conference. 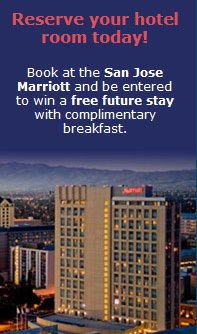 See you in San Jose! Hopefully you are as excited as I2SL is about the Labs21 2012 Annual Conference agenda. If the session titles from the last issue piqued your interest, find a comfortable seat: all of the conference session abstracts available at this time are now linked from the agenda and ready for you to read. As in years past, this agenda is jam-packed with technical sessions, symposia on topics such as carbon neutrality and users' perspectives, Morning Roundtable Sessions, Technology Demonstrations, Posters, and Tool-Torials. Review the abstracts and start planning your conference schedule today. This year's workshop lineup will cover in-depth advanced topics or offer a starting place for those who are new to the laboratory community. Three new workshops have been added to the pre-conference training session agenda. Learn about Building with BIM, how to Safely Cut Your Laboratory Energy Use in Half, and how to Evaluate the Savings and Return on Investment of Laboratory Energy Savings Strategies. You can also choose from our other workshops on data center energy efficiency, lighting, exhaust systems, sub-metering, and more. Sign up for these informative training sessions when you register to attend the conference or add a training session after your registration is complete. I2SL is excited to announce one of this year's offsite evening tours! The UC Santa Cruz Biomedical Sciences Facility is a $72 million, 100,000-square-foot, four-story interdisciplinary research laboratory building located among the redwoods of the picturesque UC Santa Cruz campus. The primary purpose of the laboratory is to provide open and flexible laboratory spaces for researchers in molecular and cell biology, developmental biology, chemistry and biochemistry, environmental toxicology, and biomolecular engineering. The building's mechanical and electrical designs emphasize sustainability and energy efficiency, with attributes such as daylighting, lighting controls, active chilled beams in the laboratories, reduced air change rates, and low-pressure-drop design of air handling systems. Don't wait to register for this tour, as space fills up quickly. You can add a tour during conference registration or after your registration is complete. Although the conference is still a few months away, early registration ends in just two weeks. Sign up for this year's event on or before July 13 to qualify for the discounted registration rate. While you're at it, sign up for a pre-conference training session and/or an offsite evening tour to augment your training and networking experiences. Interested in continuing education credits? I2SL expects that most of our sessions will qualify. Register today! Interested in joining these companies in giving a demonstration? Email I2SL. Through the 2012 Go Beyond Awards, I2SL, in partnership with R&D Magazine, will once again recognize individuals, projects, and organizations that go above and beyond in their sustainability efforts. Submit your nomination by Friday, July 13. Awards will be presented during the Labs21 2012 Annual Conference closing luncheon. Join us for the next I2SL High-Tech Talks webinar, Laboratory Design for Hot and Humid Environments, on July 19 at 1 p.m. Dan Doyle, president of Grumman/Butkus Associates and I2SL Board of Directors member, will discuss strategies for designing high-performance, energy-efficient laboratories, particularly in hot and humid climates. Sign up to attend the webinar or view the recording. If you missed the most recent I2SL High-Tech Talks webinar, Climate Neutral Campus Tool-Torial, you have another chance to learn about this topic. The recording of this talk is now available for viewing online. Register for the webinar recording. Other past webinars are also available for viewing. 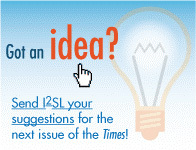 If your company has a new energy- or cost-saving tool to share with I2SL's Community, then we want to hear from you! The I2SL High-Tech Talks Webinar Series is now seeking speakers who would like to present to an engaged audience for hour-long webinar sessions. Please contact I2SL if you are interested in this opportunity. Waldner was presented with a 2011 Go Beyond Award for its commitment to low-energy-use practices and the creation of efficient, effective products. 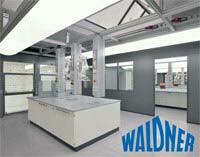 Waldner fume hood products are designed to reduce energy consumption in both their manufacture and use. Once in the laboratory, Waldner products are designed to expend less operational energy. Its fume hoods optimize flow patterns in the air supply and exhaust while maintaining performance and safe operation. Waldner also exhibits a strong commitment to rainwater capture and water conservation, as well as great sensitivity to its role as a resource consumer in a small, rural community setting. I2SL congratulates Waldner on its Go Beyond Award and encourages you to visit its booth at the Labs21 2012 Annual Conference Technology and Services Fair. The U.S. Department of Energy and collaborators have released the Advanced Energy Design Guides (AEDGs) to help architects, engineers, and contractors design and build efficient buildings. Now available for download, the Large Hospital AEDG is the final guide in the series, providing a practical approach to achieving a 50-percent energy savings in major commercial building types. The guide is designed for mid-size to large hospitals (typically at least 100,000 square feet), but the strategies could apply to hospitals of different sizes. A table in the appendix summarizes specific energy-saving recommendations based on climate zone and allows users to achieve energy savings without detailed energy modeling or analyses. Download the Guide to learn how you can start saving energy in your large hospital. I2SL attended several events in Europe this month. Phil Wirdzek and Gordon Sharp spoke at the S-Lab Conference, June 12–13, in York, UK. Phil provided an overview of I2SL's collaboration with the National Institute of Building Sciences/buildingSMART allianceTM and International Facility Management Association (IFMA)/Research and Development Council to promote building information modeling (BIM) being utilized beyond design/build as a high-tech operations and maintenance (O&M) and facility life cycle management tool. Gordon presented energy-efficiency strategies for laboratories. During the week of June 18, another I2SL delegation, consisting of John Carter, CPP; Dan Doyle, Grumman/Butkus Associates; Tim Kehrli, Lutron Electronics Co.; Timothy Riffel, Siemens; Gordon Sharp, Aircuity, Inc.; Beth Shearer, I2SL; and Phil Wirdzek, I2SL, presented at ACHEMA in Frankfurt, Germany, on various topics being addressed by I2SL. Phil and Gordon also served on a panel discussing laboratory rating strategies. BIM is transforming how buildings are designed and constructed. However, few believe that BIM has reached its potential for impacting building operations. I2SL and its project partners, IFMA and the buildingSMART alliance, are working together to encourage BIM's application as an O&M tool for the high-tech facility community. An example of BIM's potential value to O&M is demonstrated in this video. This summer, the partners will launch a survey to help identify the ways in which BIM can best support facility O&M. Survey results will be collected throughout the summer and then presented during the Labs21 2012 Annual Conference. Please keep an eye out for this survey and take the time to provide your responses. The conference is hosted by I2SL. I2SL Board Members will participate. 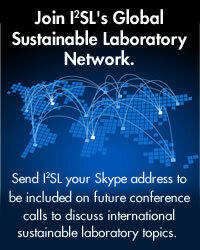 A sustainable laboratory event organized by the MAITE Foundation, an I2SL Partner. Looking for the Labs21 Tool Kit? Find it now on I2SL's website. 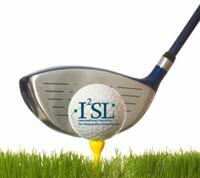 Come golf and network with other attendees before the Labs21 2012 Annual Conference! I2SL is the official cosponsor of the Laboratories for the 21st Century (Labs21®) 2012 Annual Conference and Workshops with the U.S. Environmental Protection Agency and the U.S. Department of Energy.